What Happens When You Submit a Credit Report Dispute? Your credit report is a compilation of information about how you pay your bills. Many of the businesses that you have a financial relationship with, send your account information to the three major credit bureaus — Equifax, Experian, and TransUnion — who then put the information together in your credit report. Whenever you make an application for credit, your credit report is reviewed to make a decision about you. You can also review your credit report to make sure the information included is correct. 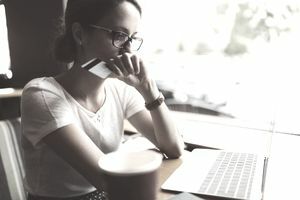 Under the Fair Credit Reporting Act, you can have errors removed by submitting a written credit report dispute to the credit bureau(s) that list the inaccurate information. Once you submit your credit report dispute, the credit bureau(s) and the business providing the information have some steps to follow. Step One: The credit bureau must review all the information and documents received from you and investigate your dispute within 30 days of receiving it. The credit bureau may get 15 additional days if you send additional information pertaining to the dispute. The credit bureau has to notify the business who provided the information — the "furnisher" — of the dispute within five business days of receiving it. The credit bureau also has to give your dispute information to the furnisher. Step Two: The information furnisher must review the information provided by the credit bureau and investigate the dispute. When the furnisher has reached a conclusion, it's required to report the results to the credit bureau. If the investigation results in a change to your credit report, the furnisher is required to let all three credit bureaus know. Step Three: If the credit bureau finds that the information you disputed is inaccurate or unverifiable, it's required to correct the information or remove it from your credit report. The credit bureau must also notify the furnisher that it's been removed. With your permission, the credit bureau can send your updated credit report to any employer who has requested your credit report within the last two years, or to any other business who has requested your credit report within the last six months. The credit bureau can terminate the dispute process if it deems your credit report dispute is frivolous. If this happens, the credit bureau must let you know within five business days and also tell you what you must do to restart the dispute investigation. If the credit bureau does not correct the information that you know to be inaccurate, you also have the right to dispute directly with the business that listed the information on your credit report. This way, you can bypass the credit bureau — which sometimes uses an automated process to "verify" information on your credit report — and have the information furnisher take a closer look at their records. Sometimes the source of your credit report error is an error in a computer system that needs to be corrected by a human. Initiating a dispute directly with the creditor or lender can help you with this process. If you're not satisfied with the results of the investigation, you have the right to submit a 100-word statement to be added to your credit report. If you believe the credit bureau has violated the law while processing your dispute, you can send a complaint to the Consumer Financial Protection Bureau. You may also have the right to sue a credit bureau that does not correct credit report errors. Talk to a consumer rights attorney about your case to see if you have grounds to file a lawsuit under the Fair Credit Reporting Act.